This is a very simple way to get your fix of those crispy, chocolatey, minty cookies. I had seen a similar recipe and they used Andes baking chips. I had never heard of them. But sure enough, there they were at Target! I almost paid the $3 for the bag, but realized I probably had all the ingredients at home to make them just as good. Be warned that once you eat one, you will want to keep going until the whole platter is gone! 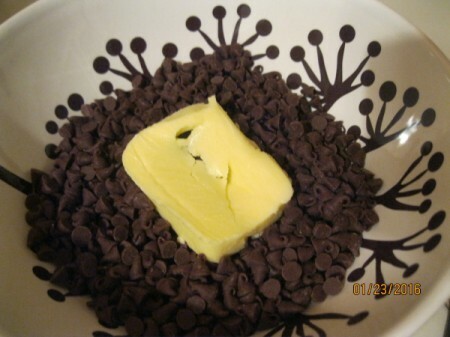 Put your chocolate chips in a microwave-safe bowl. Add chocolate chips and shortening. You can skip the shortening, if you like. I always use it and rarely have chocolate "seize" on me. Microwave 30 seconds to start with. Take out of the microwave and stir. Put in the microwave and heat another 20-30 seconds. 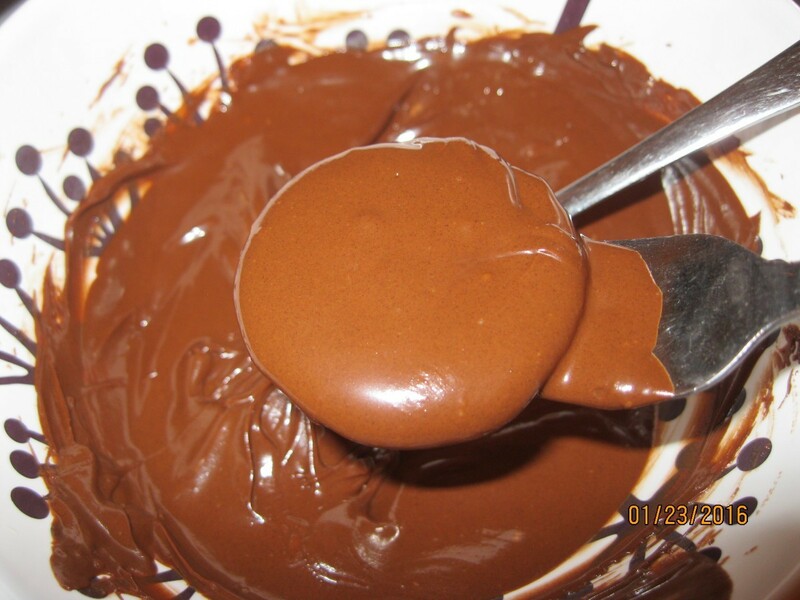 Stir until the chocolate is smooth. Add 1/2 teaspoon of peppermint extract, stir and then taste. Don't go crazy with this stuff. If you want it a little more minty, add a few more drops. 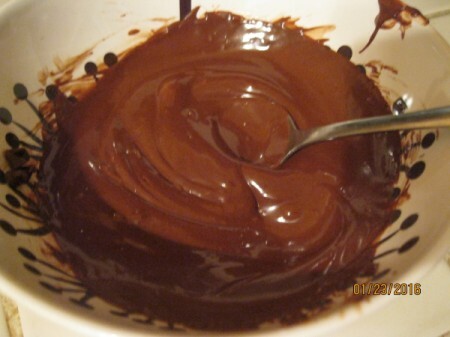 Stir the extract into the chocolate. 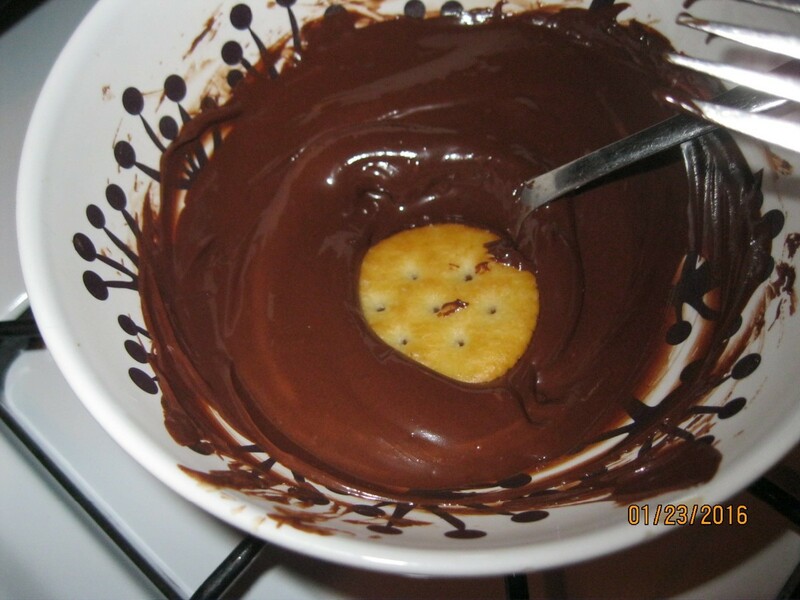 Take your cracker and dip it into the melted chocolate. 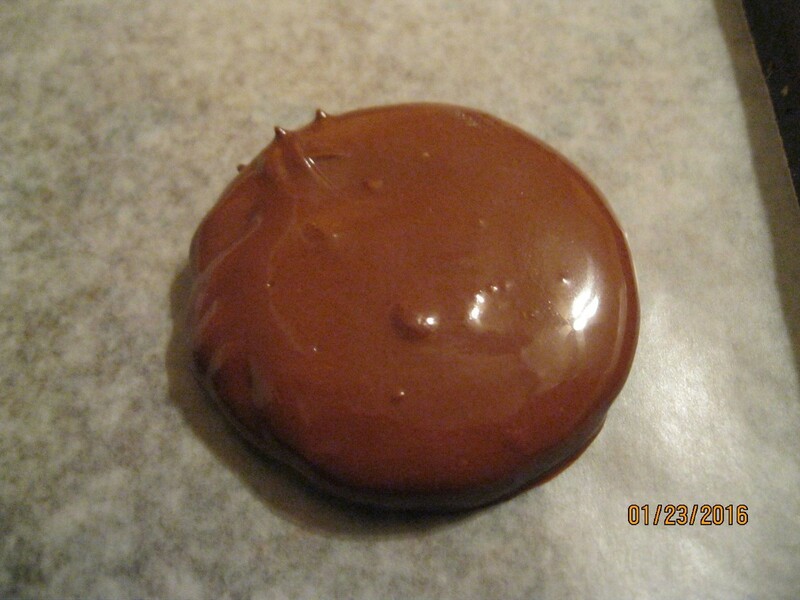 I like to use a spoon to pour the chocolate on top. You can use a fork underneath to pull the cracker out. Wipe the fork against the bowl to get the excess chocolate off. Place on a piece of wax paper. Wait patiently for the chocolate to harden. Enjoy! My husband is going to love me extra after I follow these directions. He spends way too much on these at the shops! Thumbs up! Looks so easy! Great way to use up that last handful of chocolate chips in the package. Does the chocolate ever actually harden enough to allow no chocolate mess? 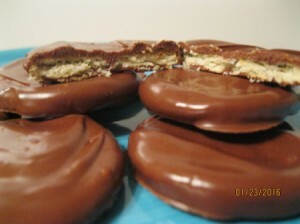 I've tried similar recipes (for cookie sales) but couldn't use them due to the soft state of the chocolate. Thanks! When I make dipping chocolate out of choc chips, instead of the shortening I use a little piece of paraffin and coating gets nice and hard. Hi Donna. Yes, the chocolate will harden. 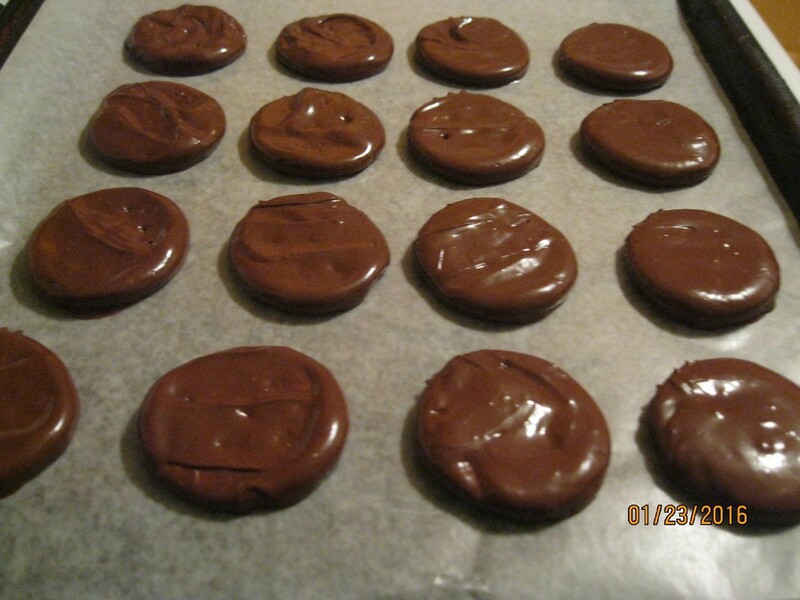 You don't want to use too much shortening or the chocolate may not set up as firmly as you would like. You can try doing it without the shortening. But sometimes chocolate "seizes" up and the shortening helps to avoid that. Hope it works for you! That's a wonderful idea, Shirley!